Grandiose choirs, slightly processed percussion, piano interludes, familiar theme? Yup, it’s a HALO score, folks. HALO REACH to be precise. I must make a heretical confession: I’ve never understood the hype about the HALO scores or the games. While it’s certainly commendable that Bungie has taken such a well-worn formula and honed it to the fine point of the series’ acclaimed multiplayer gaming, the franchise’s near-deification remains something of a mystery to me. That being said, credit must be given where due, and HALO REACH is a solid score, and despite my coming complaints it remains true that the game would be weaker without it. 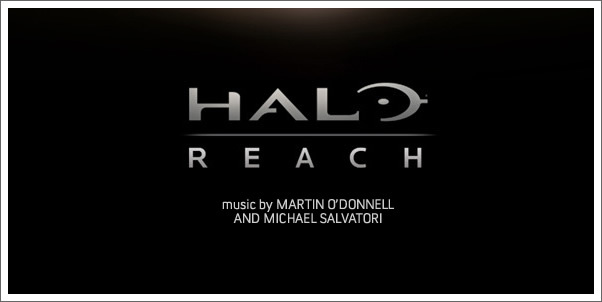 The acclaimed duo of MARTIN O’DONNELL and MICHAEL SALVATORI return to deliver another entry in the series, and as long as you’re not expecting anything new or innovative or particularly moving outside the context of the game, you’ll be well pleased by the results.